I was feeling groggy one Monday afternoon and wanted to escape Hong Kong. The lack of anticipation of a holiday (when you don’t have one planned next) along with some stress had gotten to me. So Taipei I went that Friday night! I chose Taipei for my spontaneous long weekend getaway not only because it’s a short plane ride away but more importantly because of its coffee culture. The owners at Waffling Beans had told me they get their coffee beans roasted in Taiwan. Plus a brief search on the web yielded many hipster-looking cafes. I was sold. 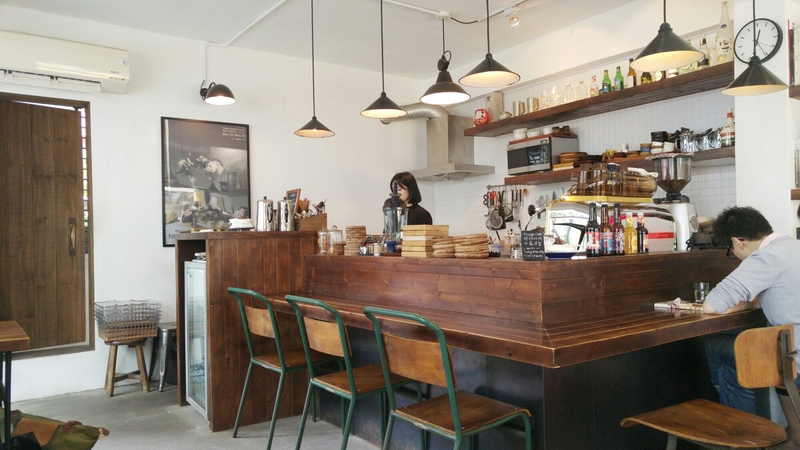 I read about Cafe Megane on another food blog: Taipei Foodie. The comments were promising. The photos of their matcha latte was even more convincing. Plus, it was located near Daan 大安 station so we headed over after a big local breakfast of soy milks, sticky rice and xiao long baos at Yong He 永和豆漿王. 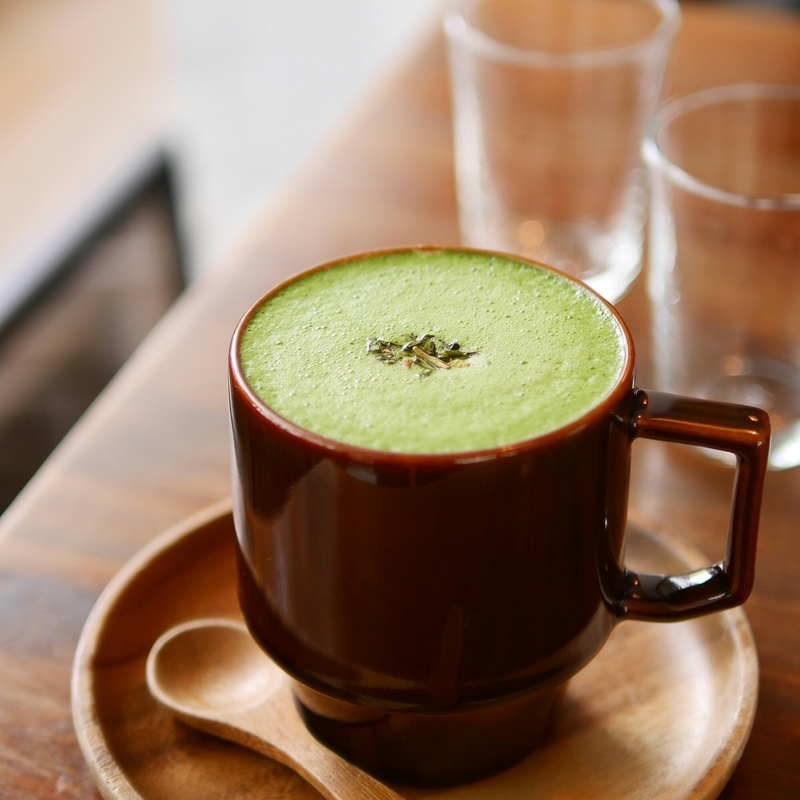 There’s no photo deception, the matcha latte is seriously as good as it looks. It was creamy and frothy in texture, strong in matcha flavour and not too sweet. For NT180, it was a generous mug which I ultimately couldn’t even finish. The coffee was also great. The place is sort of hidden in a nice little street and the strong smell of beans had definitely invaded far beyond the neighbourhood. Trust only hipsters when it comes to coffee recommendations, and you will unlikely go wrong. We were shopping at All Saints and asked for cafe suggestions. A stylish young woman in a black short sleeve maxi dress with tattoos down her arm suggested Yong Kang Street 永康街 (near Dongmen Station). The tattoos were all I needed to see to heed her advice (haha, I’m serious though). There were so many options near Yong Kang Street and it was really difficult to choose one. Instagram research showed us Xiaomijo and the impressive latte art and the cute store front were what ultimately persuaded us. The cappuccinos and lattes were delicious. If you search “Where to buy coffee beans in Taipei” you will not miss Fong Da. It’s an age-old institution, a traditional shop which roasts its own beans. It was also recommended in my travel book. No hipster spoke of this old fashioned shop and someone on TripAdvisor said its coffee was of Cha Chaan Teng quality (!). I was looking for coffee beans only though and since there were 10 people gathered waiting to buy their beans… this much traffic must mean it’s fresh? It was also so cheap: NT310 for a pound of Colombia beans and NT500 for a pound of Cuba Blue Mountain beans. I got a few more bag of beans to grind through right now – will update this once I try them. UPDATE: The Columbian beans were delicious! Medium roast, a tad acidic which was largely eliminated once I used a finer grind. Super fresh even though I started using them 2 weeks after purchase. GaBee is one of those typically recommended spots, it seems. It was a 15 minute walk from our hotel so we went. The shop is quite big and spacious. It’s populated with a lot of coffee equipment but the decor is quite dated and uncool. They are clearly real coffee experts though. They wrote books on latte art and so as you could expect, my cappuccino was decorated with the most latte art perfect swan I have seen to date. The milk was frothed to perfection – extremely smooth, appropriately thick. 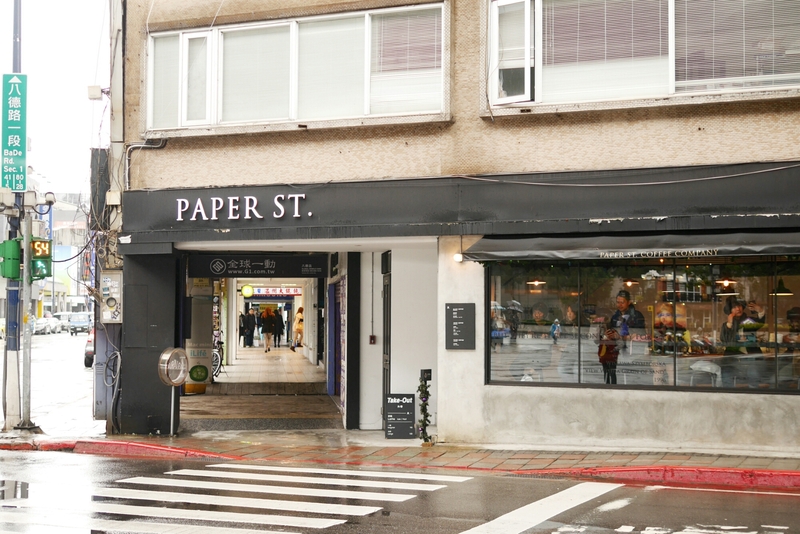 I was most excited to visit Paper St. mainly because of its decor – it’s simple but the vibe is new, clean and relaxed. It looks very westernised from the outside, something you would find abroad. It was also the only coffee shop we visited which served flat white! For some reason this drink hasn’t really made it in Taipei in general. The coffee was unique; it bore a strong smoky taste to it, which I liked but didn’t love. The more mainstream cocoa or floral type of aroma appeals to me much more. We went to a few others which also served decent cups of coffee and so my general impression is that you can get decent coffee in most places around Taipei. My favourites out of the lot has to be Cafe Megane and Xiaomijo for the overall package of coffee and vibes. 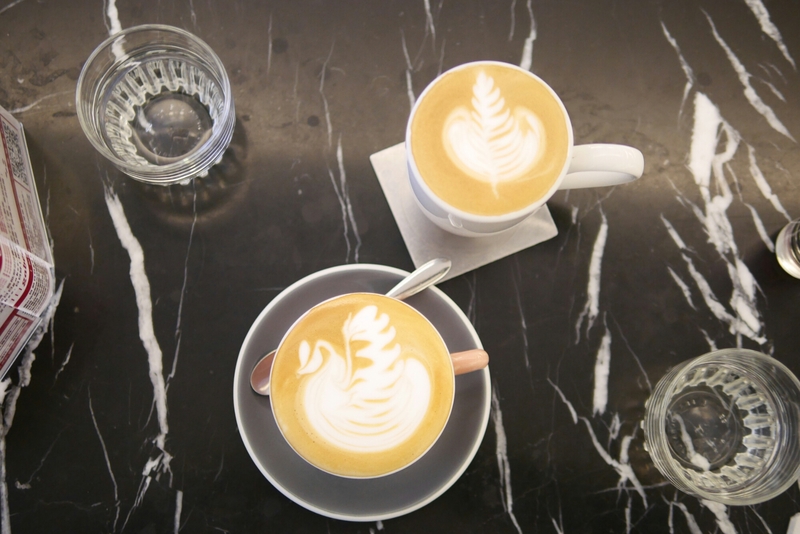 I’m sure I’ve missed out a lot of other great coffee shops so leave your recommendations in the comment section below! I’ll definitely be back to Taipei in no time.